This is the season that children look forward to more than any other. For many youngsters, the holidays are synonymous with being spoiled – with love, food and gifts from family. 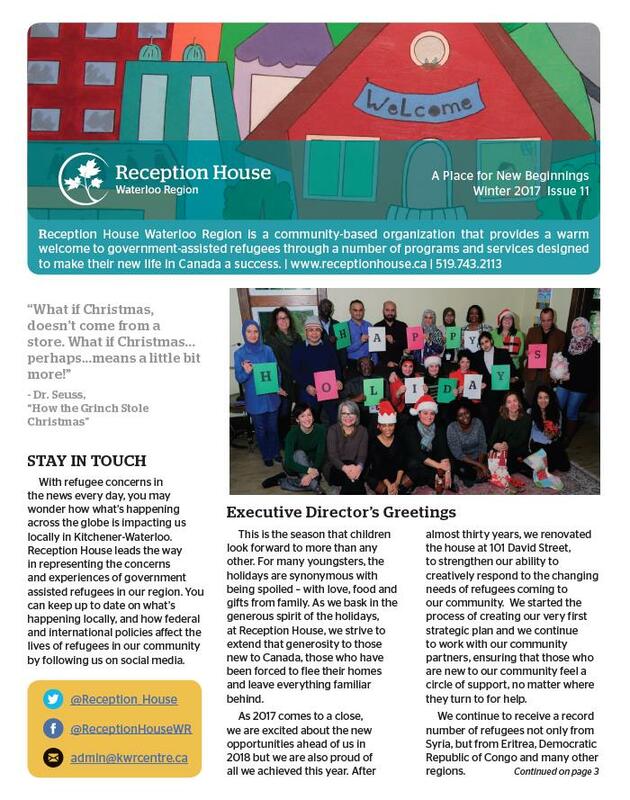 As we bask in the generous spirit of the holidays, at Reception House, we strive to extend that generosity to those new to Canada, those who have been forced to flee their homes and leave everything familiar behind. Read their stories in our Holiday Newsletter. As we pause this holiday season, please accept our heartfelt thanks for being part of our journey in 2017 as we welcomed nearly 600 refugees to our region! It really takes a community to welcome families and help them integrate and thrive. In this season of gift giving, please consider helping our newest neighbours begin again in their new homes.